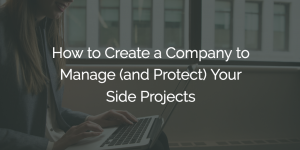 Don’t underestimate the potential of a side project (or “side hustle” as they’re commonly known): many multi-million dollar companies started as side projects. Twitter, Craigslist, Slack, Groupon all started as a side project. Most people simply work on their side project while they still have a job and then if it takes off or at least becomes “ramen profitable” (where you are able to at least feed yourself with your side hustle income) then they create a company (register an official business). However, there are risks with doing it this way, especially if you have many business ideas. First, since your initial work isn’t within an official incorporated business (a Corporation or LLC, an entity that is separate from yourself) you might expose yourself to liability. Commentary: Lots of people have great business ideas and/or are extremely intelligent. This is great – but if you do not apply your intelligence, take action on your ideas, then it is simply an intellectual exercise. I feel it’s essential that you are able to marry your work and what you love. This passion will ignite the minds of your potential clients and connections. Your business has to be a reflection of what you are already willing to pour countless hours into. Your passion and enthusiasm for your business has to connect to your why, be a part of your own experience, and is ultimately what will make you successful. The article also includes summaries of the creation of Facebook and YouTube and encouraging words for those with an entrepreneurial spirit who haven’t yet made the jump to starting their own venture. The concept of starting your own business can be intimidating but it’s not as difficult as many people think. Once you have come up with a Business Idea and drawn up a Business Plan you’re ready to Start Your Company! MyNewCompany.com also has a Resource Center with tons of useful information! Anyone who claims to have built something of lasting value–be it a business, personal relationship or a body of critical knowledge–without suffering serious pain and disappointment is either a liar or dangerously naïve. At some point on your journey, you will stumble and fall. As the article mentions only 45% of startups make it to their 4th anniversary. In today’s troubled economic climate the challenges faced by new businesses are even greater. What separates successful entrepreneurs from the crowd is not a lack of failures, but the resiliency to pick themselves up and try again when things don’t go as planned. Of course, when starting a new venture it is always worthwhile to do everything you can to increase your odds of success. Two great ways to do this are by adopting a properly written Business Plan and Automating Your Business. Franchises have a much, much higher success rate than general business startups, so Automating your Business to make it run like a franchise will give you an advantage over other companies that have not taken this crucial step. If you enjoy our blog posts just visit our Free Tools & Resources page to follow us on social media or subscribe to our free monthly newsletter! In the early days of a startup company, the founders can rely on excitement and adrenaline to get the ball rolling. However, when the well of excitement and adrenaline goes dry, that ball suddenly feels extremely heavy. How do you go about staying excited about your startup? This post discusses how having a plan can help maintain excitement and keep you engaged with your business. At MyNewCompany.com we always recommend that you develop a business plan before moving into the startup process. We have a Page on Business Plans that assists with this process. A properly written business plan will force you to check your assumptions and will help you begin the process of Automating Your Business so that you can focus on developing your business instead of getting bogged down in day-to-day routines. It’s always easier to stay excited when you can see the big picture! If you enjoy our blog posts you can also follow us on Twitter and Facebook or subscribe to our Free Monthly Newsletter. To begin following us just use the links at the bottom of This Page. In the evolution of modern shopping, consumers have very recently progressed from visiting a physical store every time they wanted to buy something to shopping online via a desktop or laptop computer, at least some of the time. The next evolutionary step will presumably have shoppers making more purchases online from mobile devices. Of course, to take advantage of these new opportunites you will need to Start a Company and will need to Build a Website. MyNewCompany.com is your one-stop resource for getting your company set up properly so that it is ready to start making money for you! Bootstrapping (self-funding your startup) is just one method of Finding the Money to start your new venture. Of course, it always helpful to have a good Business Plan before looking for funding. It is frequently easier to get work as an Independent Contractor if you have a Corporation or LLC in place (most companies are unwilling to hire Sole Proprietors as independent contractors). 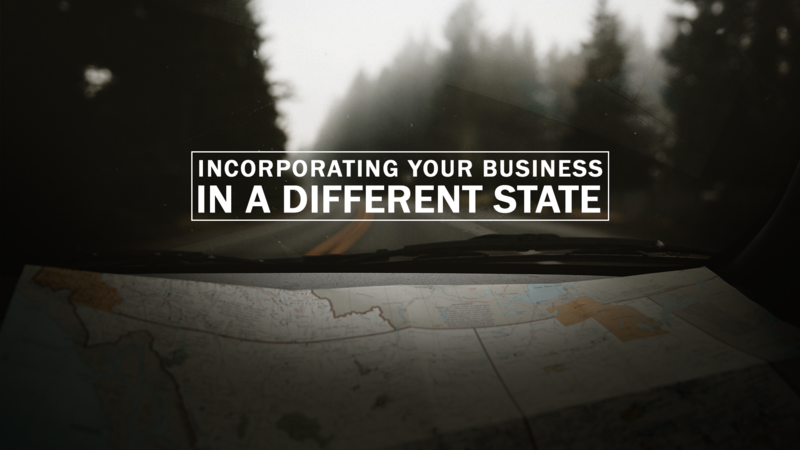 Using MyNewCompany.com’s Formation Services can take the hassle out of setting up an LLC or Corporation in any state!